Homemade Flea Powder That Actually Works! 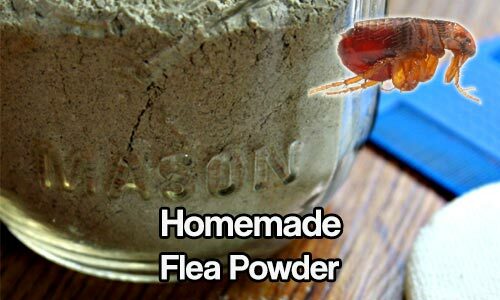 This homemade, cheap flea powder works for Flea, Tick, Ant, Mites, Fly, Mosquito and other Insect Repellent. Stop using the harsh chemicals and use a more natural approach which works just as well as the store bought products. With spring, comes all the insects, the pollen, the flowers, the leaves, and the fleas. Those wonderful fleas. Well, not in my house and not on my animals. Not this year! Over at primallyinspired.com, Kelly has put together another great article which shows you how to make the homemade flea powder. It’s easy to read and easy to make and costs you about half the price if you were to buy the store brought brands!